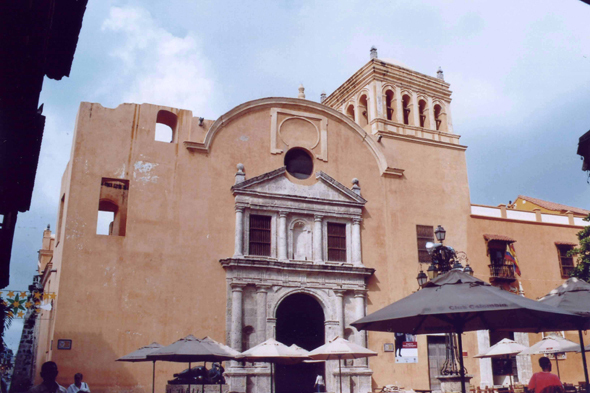 The church of Santo Domingo. A church whose bell-tower seems have been displaced inauspiciously on the right. The legend would like that God blew with rage on this bell-tower, in anger against a priest of this parish.